I have recently returned from visiting a fine church in Nashua, New Hampshire, USA. Once a month they hold an Erev Shabbat celebration where they recreate elements of the biblical festivals of ancient Israel. 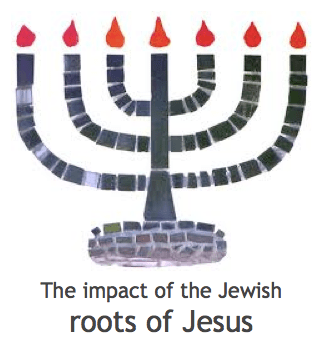 The idea is to connect with the Jewish roots of the Christian Faith and this has stimulated me to examine some of the Jewish background to Jesus’ life and teaching. Sometimes we struggle to fully comprehend what Jesus said and did because we view his life from our 21st century and cultural perspectives. In this series of posts I intend to examine a number of the more enigmatic saying of Jesus within the context of their original background. I have drawn some of my material from ‘Understanding the difficult words of Jesus’, by David Bivin and Roy Blizzard, ‘New Light on the Difficult Words of Jesus’ also by David Bivin, and ‘Walking in the dust of Rabbi Jesus’ by Lois Tverberg. Jesus had gone up to Jerusalem for the Feast of Tabernacles, known as Sukkot. This was a week-long celebration to commemorate God’s provision for His people. The word ‘sukkot’, usually found in our English reference works as ‘ Succoth’, is used to signify the third group of festivals held in the 7th month of the Jewish religious year. Some trace its origin to the first halting place in the Israelites exodus from Egypt. The name itself means booths, or shelters, or tents and to this day orthodox Jews still erect booths in their gardens once a year to celebrate God’s goodness. To Jesus’ disciples this self-revelation should have been even more significant and they certainly understood it later because the apostle John wrote, ‘The Word became flesh and tabernacled for a while among us. We have seen His glory’ (John 1:14). 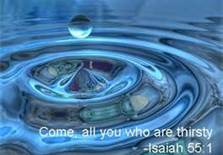 God himself had come to live with his people, to tabernacle (Sukkot) with them, and to provide them with the living water of the Holy Spirit. Hallelujah!